A 243-ways-to-win high variance slot with 96.51% RTP featuring the Goddess of Wealth and Prosperity! On the surface this game is all peace and tranquillity but it packs a mean punch and some super volatile gameplay wrapped up in Bonus Reels, Mystical Multipliers of up to 30x, free spins and tons of wilds. The top payout of Divine Dreams is a monstrous 7,500x! Play from 20p to £100 per spin. Where Can I Play Divine Dreams Slot? In line with the prevailing trend Quickspin made some seriously good high variance slots in 2018. 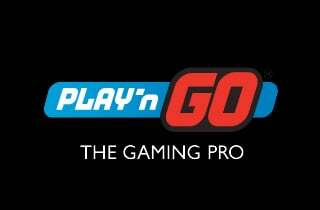 Following in the footsteps of Big Time Gaming, Red Tiger, Play n Go and others, games like Ark of Mystery and Ivan and the Immortal King took Quickspin fans to new places with games that boasted potential payouts well over the 10,000x mark whilst also sticking to their principles of premium quality design and gameplay. So, it’s not surprise that one of this Swedish developer’s first releases of 2019, Divine Dreams, is straight out of that box too. This video slot is packed with the very best features high variance fans love – free spins, multipliers and wilds delivered partly through a bonus reel that appears as a ‘sixth reel’ to the far right of the standard five. This adds a further element of tension and intrigue to the gameplay, particularly in the bonus round. Divine Dreams is set in the backdrop of a nighttime Indonesian rainforest, featuring dark rocks and vegetation behind a transparent reel set. There are 5 low value symbols that look like ancient symbols carved into stones, and 5 premium symbols which are stone-carved animals – a fish, a turtle, a monkey, a squirrel and an elephant. The latter is the highest-paying of the lot at 15x for five on a payline. Look out as well for the Lotus Flower wild symbol that will substitute for all others bar the Free Spins scatter. Yin Yang Wilds Symbol– two additional wilds are added to the reels along with a random multiplier. Super Respin Symbol– this sets up the Sacred Respins features – one or more wilds are added to reels 2 and 4 and a respin occurs, along with an enhanced multiplier set of up to 20x. Mega Respin Symbol– this can land during the Super Respin, giving you extra wilds and further enhanced multipliers … of up to 30x! The scatter symbol here is the Divine Free Spins symbol. You will need to land three or more to set off the free spins round. This being a high variance slot, more features are loaded into the bonus round to pump up the chances of big wins. So …. we get more wilds added to the reels and more instances of the Yin Yang Wilds and Sacred Respins happening on the Bonus Reel. An additional +3 spins symbol is added to the Bonus Reel. If it lands you get 3 additional free spins in your cache. Basically, once you make it through to the bonus round the game steps up a gear, and with additional wilds, extra free spins and more chances of landing 30x multipliers, the win potential shoots up to give you a top payout of around 7,500x. Divine Dreams is a slick high variance slot from Quickspin. It has all the elements to suggest we will see some seriously crazy big win videos coming our way soon. What’s nice is that whilst a lot of the really fun stuff maybe locked into the bonus round, the bonus reel with its Yin Yang wilds, respins and mulitpliers means that there is plenty to enjoy in the base game too. In short, well worth a spin and has the potential to become something of a classic.